CeFaan Kim has the latest from Brooklyn. BROOKLYN -- Officer Aml Elsokary was allegedly harassed on Saturday night in Bay Ridge because she is Muslim. 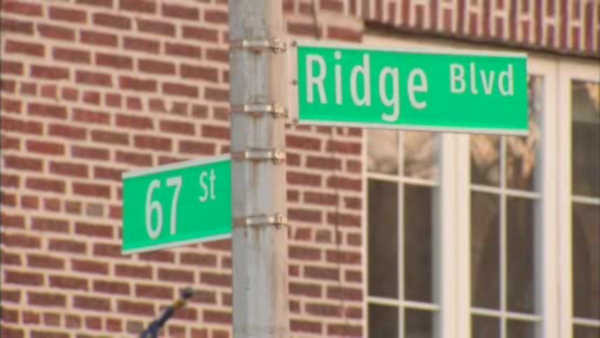 Investigators say it was just before 6 p.m. when she dropped off her son at Ridge Boulevard. Officer Elsokary says she parked her car nearby, and when she returned there was a man yelling at, and pushing her son. She then stepped in - and the man allegedly called her 'ISIS' and threatened to slit her throat before running off. Police say the officer was wearing her hijab during the altercation, and did not identify herself as an officer to the suspect. She was also not carrying her service revolver. Back in 2014, Elsokary was praised for her heroism when she risked her life to save others from a fire in Williamsburg, running into a burning building. Meanwhile, Senators Kirsten Gillibrand, Cory Booker and Robert Menendez on Sunday called for an additional $5 million in funding to protect religious institutions and community centers with hate crimes on the rise 30 percent throughout the city, according to the NYPD. It is unclear what sparked the dispute with the officer's son. As for the suspect in the incident, police charged the man, identified as Christopher Nelson of Bay Ridge with hate crime/menacing, and aggravated harassment. Just days ago, a young Muslim woman was allegedly harassed by three men on the 6 train in Manhattan, yelling 'Donald Trump', and told to go back to her country.